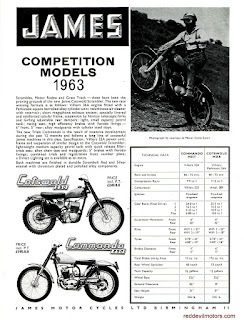 Single page flyer for the James 1963 competition models. The owners of James, AMC, had introduced their own Piatti designed two-stroke power units in 1957. The AMC motors were largely unloved and by '62 Villiers engines were available again in some of the competition models. 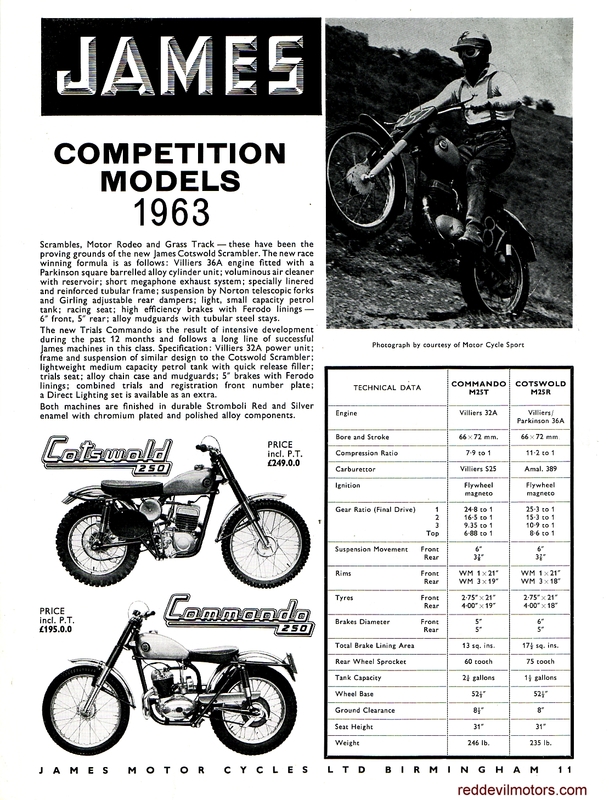 In '63 you could only buy a competition bike with a Villiers motor.